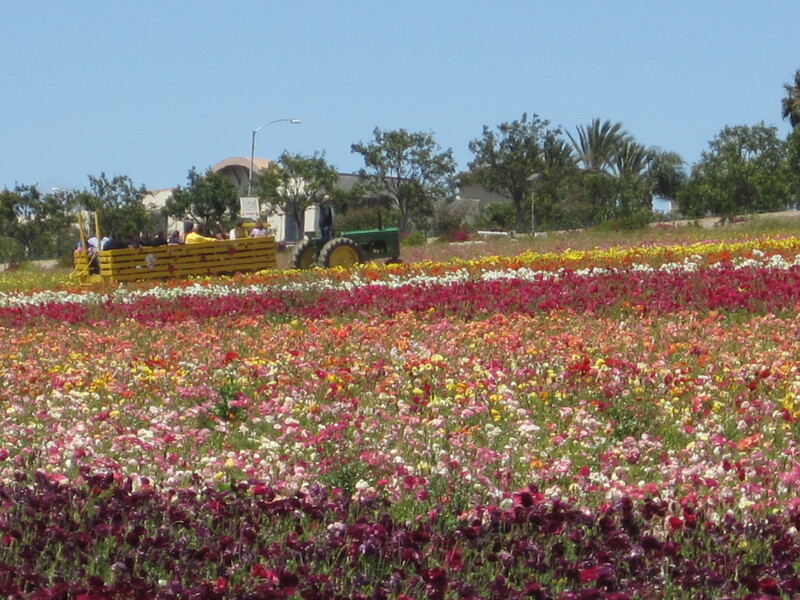 Last week we made a late season day trip to the famous Flower Fields of Carlsbad. 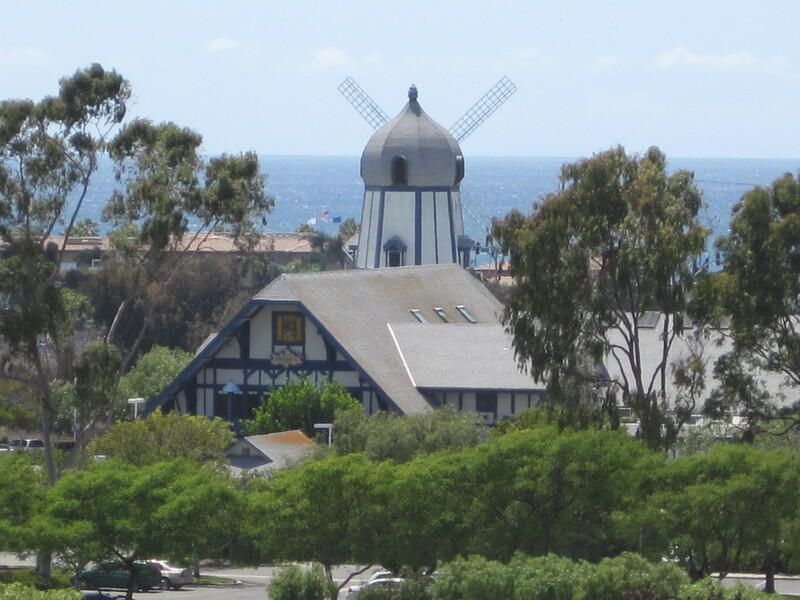 Just off the freeway, behind the also famous windmill, next to the outlet mall, and on the way to Legoland, is a large parcel of hillside that is covered in row upon row of brightly colored flowers for most of the Spring season. On this particular outing the flowers were not so bright as I remember them being in previous years, but to be fair we went after the normal viewing season, which was extended this year into late May. Besides wandering the flower fields, there are other activities to be had as well (much to the little one’s relief, since she didn’t think wandering about flower fields sounded all that exciting). First off, you don’t actually have to wander the flower fields on foot, as there are large wood sided wagons waiting to take you on a guided tour of the fields (although it did appear to cost extra). 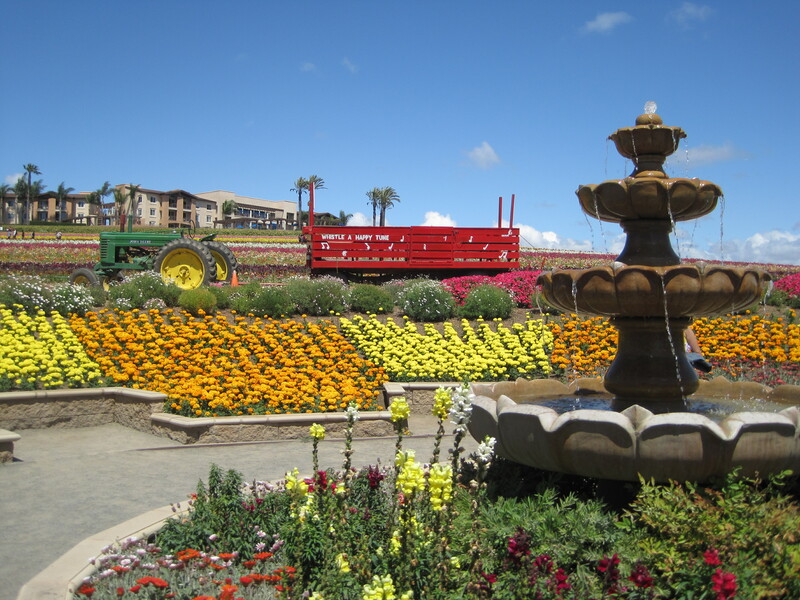 Also, there are various park like exhibits to be explored, such as the rose garden, and a little fountain area. 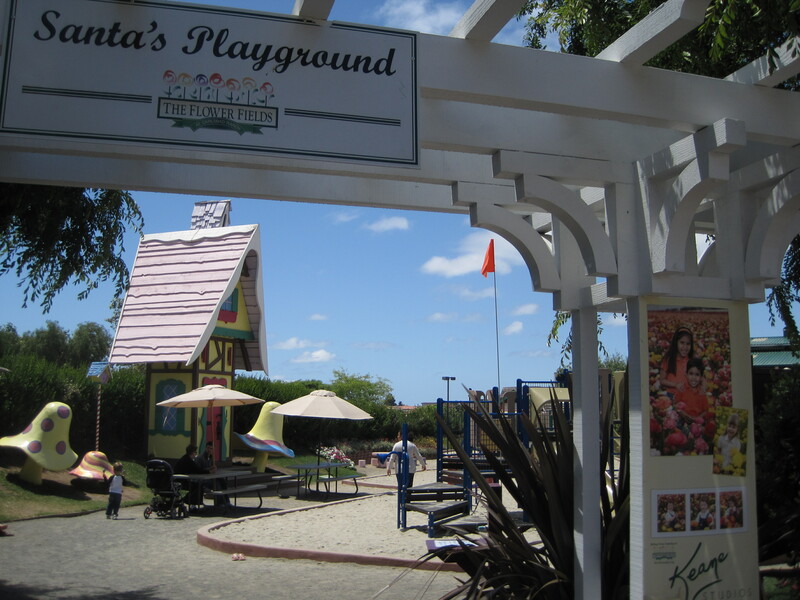 There was also a nice playground area for the kids, featuring many of the original play structures from a seasonal amusement park called “Santa’s Village” which you might remember if you grew up in Southern California during the 1980s (or at least had kids in SoCal in the 1980s). There was also a fun flower maze – similar the corn mazes that are around in October, where you could wander a garden labyrinth. 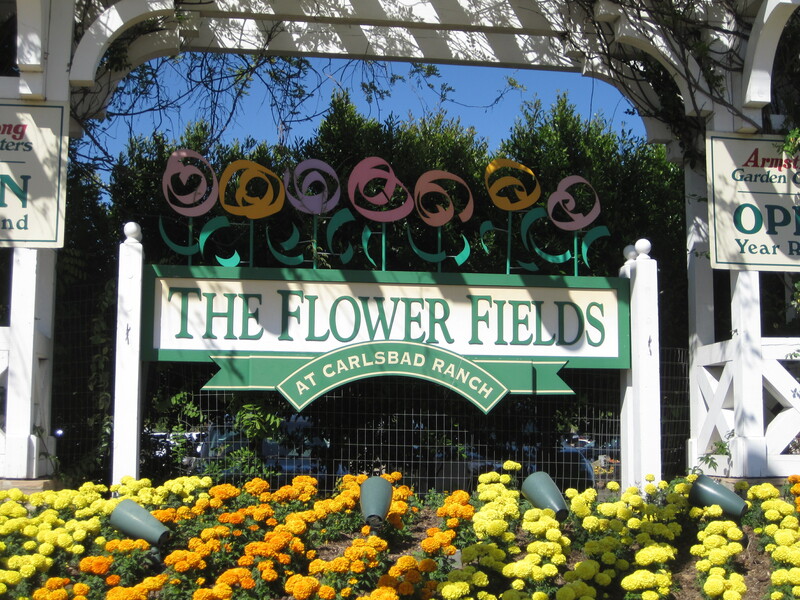 We were at the flower fields with two other families, and went through the maze about 3 times before we could get everyone in the same place at the same time. Everyone seemed to enjoy this. 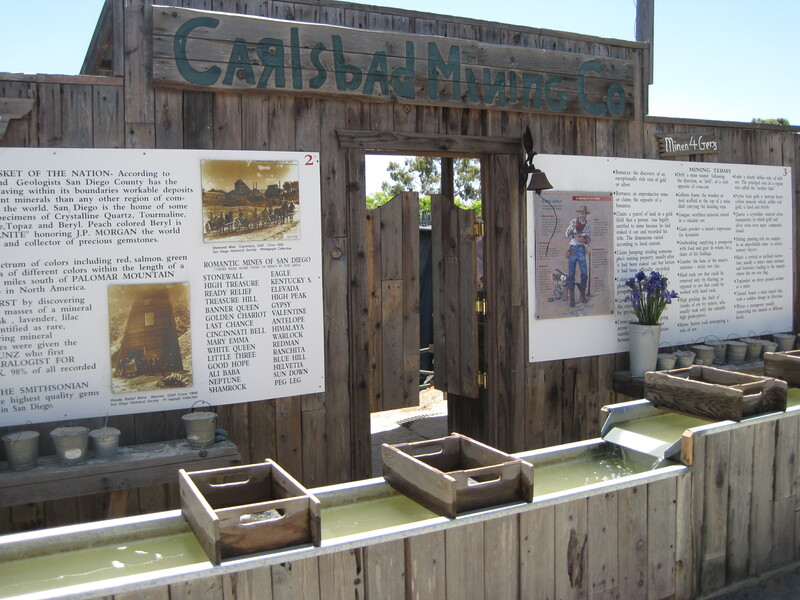 Lastly, there was a neat exhibit similar to one I’ve seen at Knott’s Berry Farm, where the kids were able to “pan for gems”, which is to say for $2 they could choose a metal pail of dirt that had been loaded with a random assortment of gemstones (amethyst, rose quartz, etc. ), then use a sifter in the water trough to find the gems in the dirt. All the kids seem to have a good time with this, and delighted that they could take their treasures home with them. It was a fun, educational, and cheap souvenir so it got thumbs up from the parents as well. Overall it was good times, and an affordable outing that also offered up a decent amount of outdoor exercise. Much recommended by us.